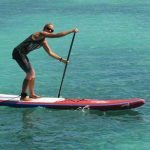 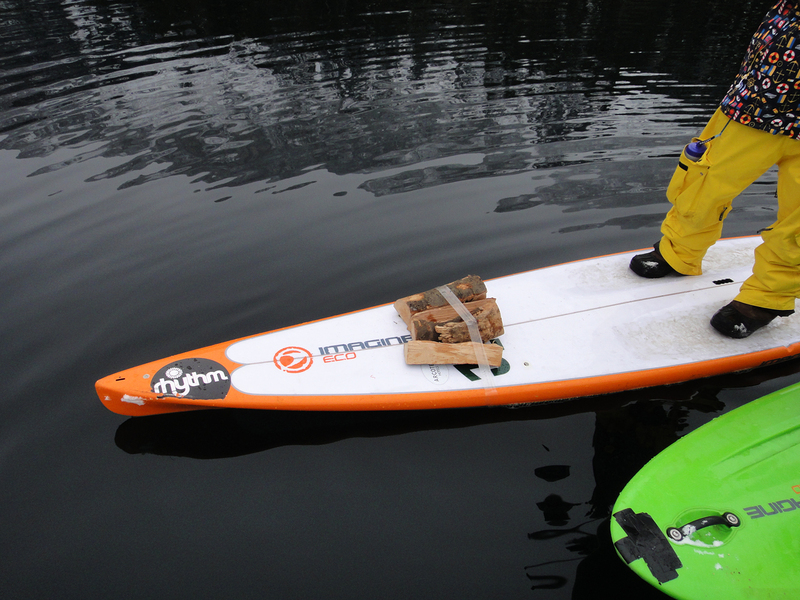 Starboard Team Rider Annabel Anderson had met the Munich SUP crew in Hamburg at the Jever World Cup where she finished 2nd. She had stayed in touch with Petra, who also paddels on the canal in London and had seen some photos from the scenic tours through Bavaria. 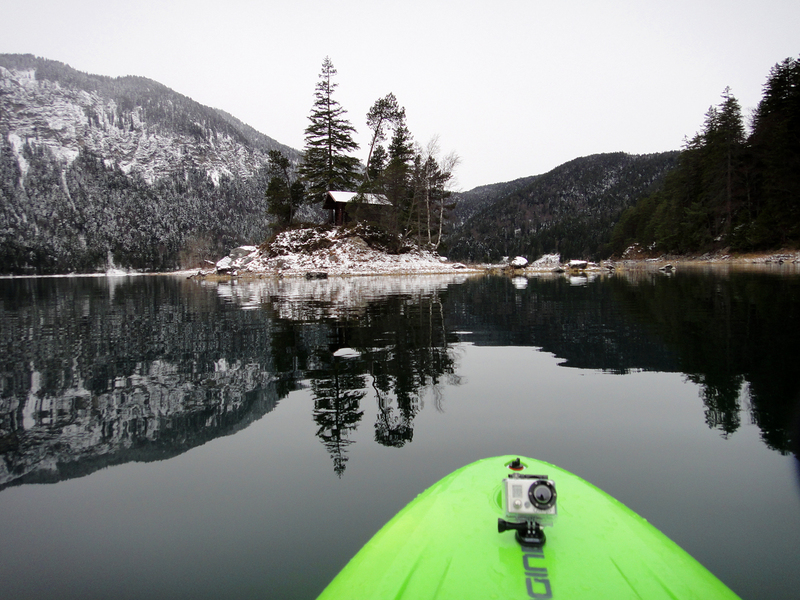 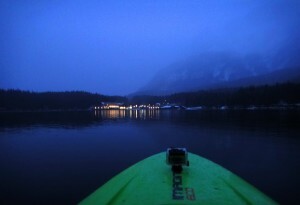 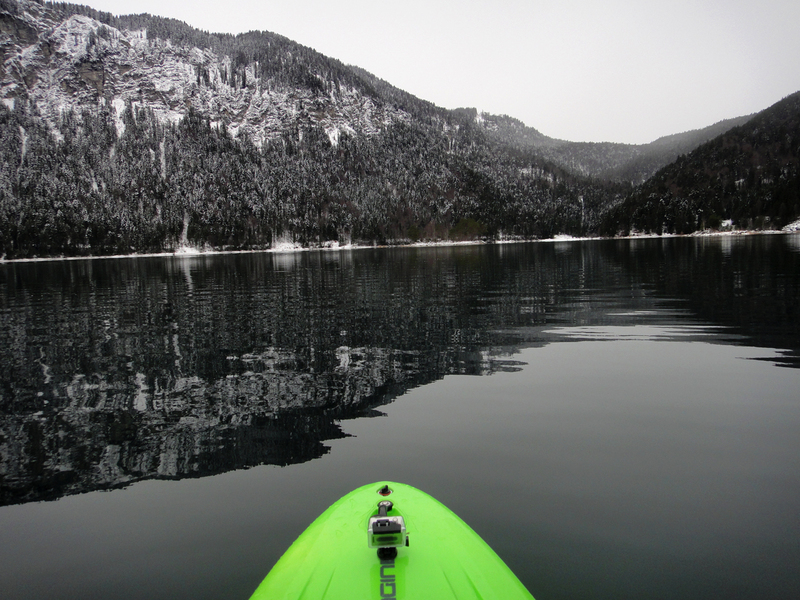 So one early Saturday morning in December, she headed south for some more paddling adventures. Carsten Kurmis (Imagine Surfboards), Etienne Stander (Munich Stand Up Paddling), Andrea Moravcova (Bavarian Waters) and Petra Offermanns (SUP-guide.com) took her out to show her the best of Bavaria. Saturday’s itinerary was a small inner city tour (Annabel had gotten up at 3:30AM to catch a 4:06 train to the airport) paddling on the main river Isar and its canal. 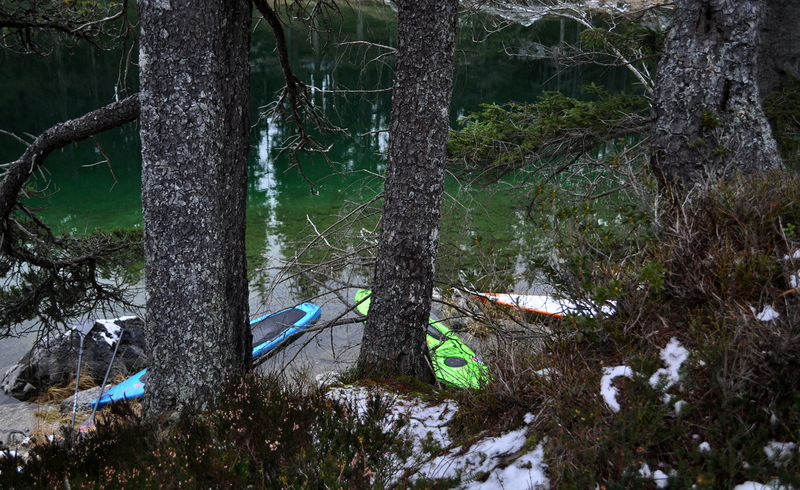 Very bravely Annabel surfed a small river wave in 5°C water temperature. Afterwards the crew went to one of Munich’s most traditional “Christmas markets” @ Weissenburger Platz and warmed up with mulled wine and MET (honey wine). 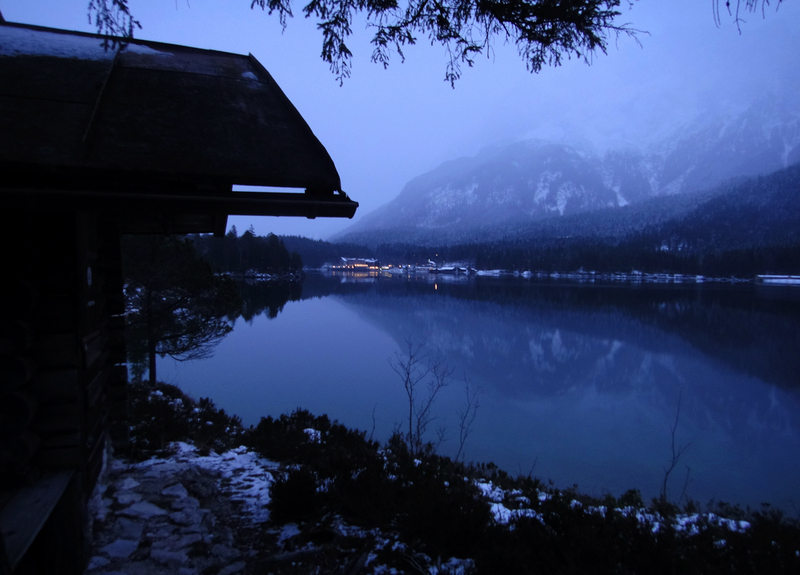 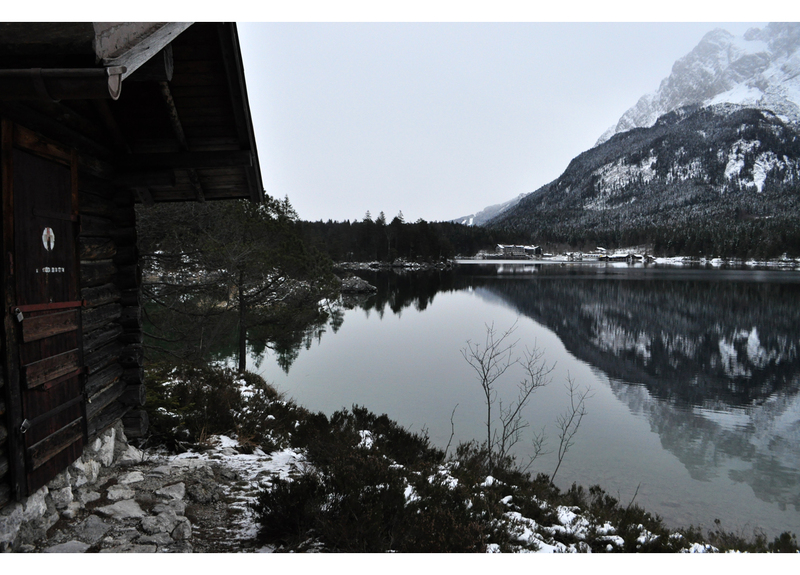 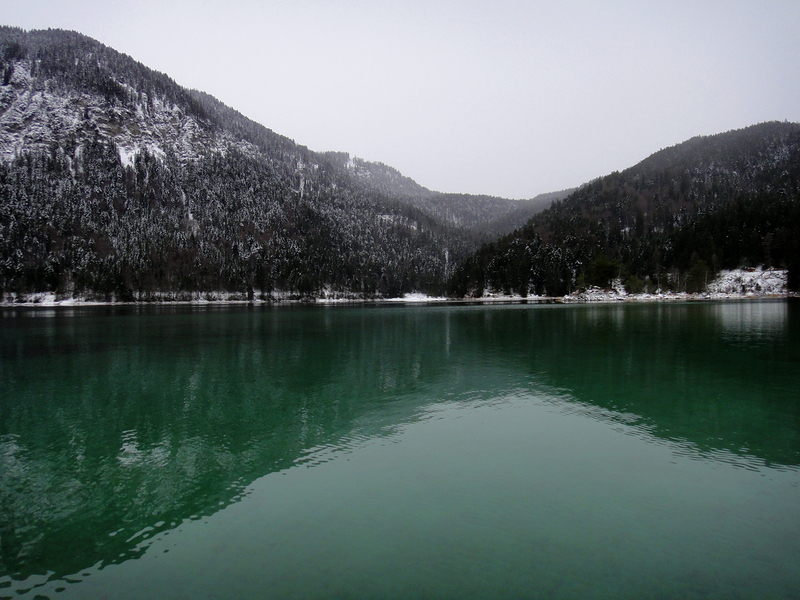 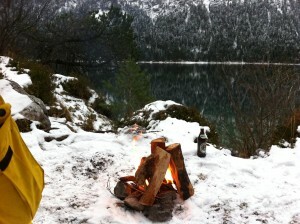 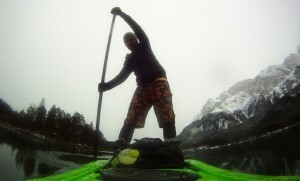 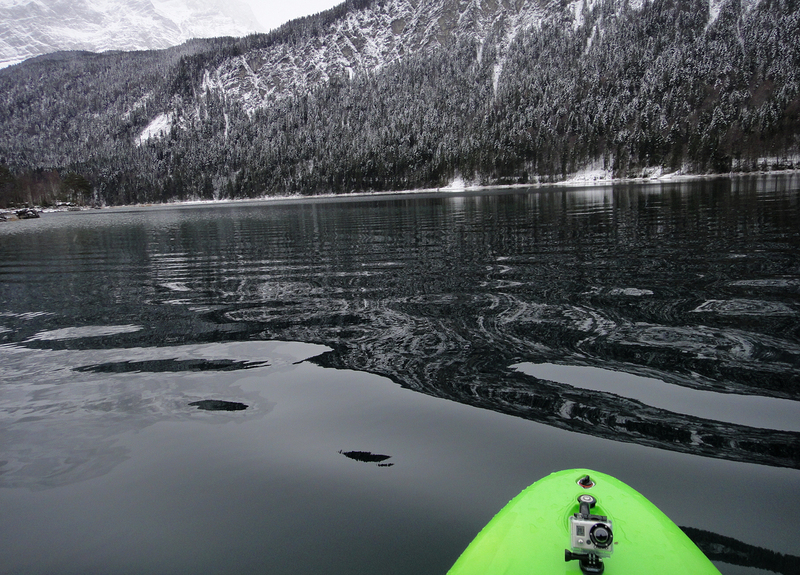 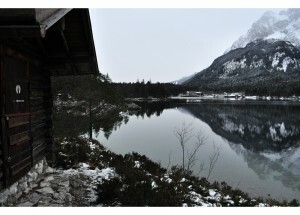 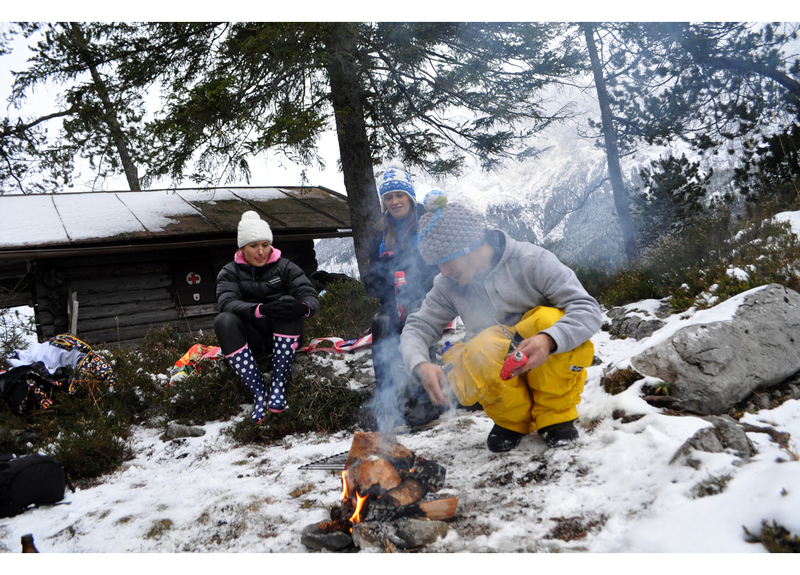 For Sunday, the paddlers packed firewood and BBQ stuff and ventured to a crystal clear, snowy mountain lake. Andrea from the Bavarian Waters Team even packed a candle to light on her board, as in Germany it is tradition to light one candle for each Sunday in advent. 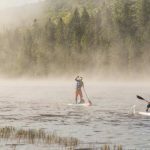 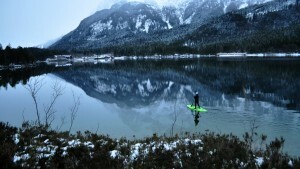 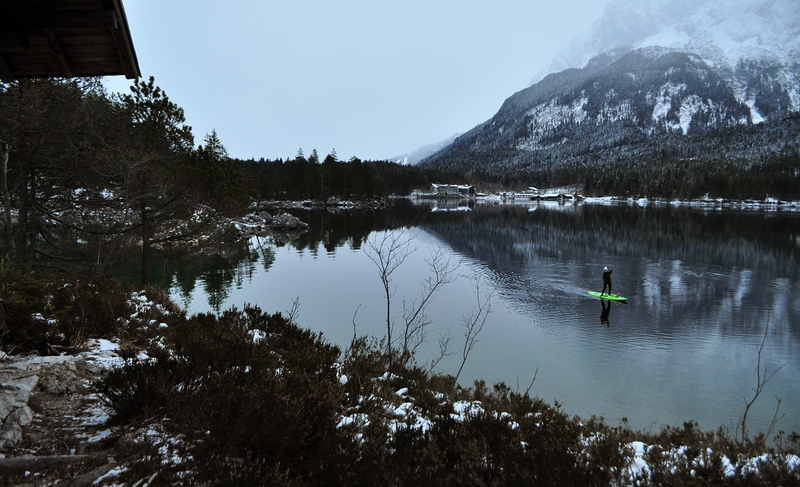 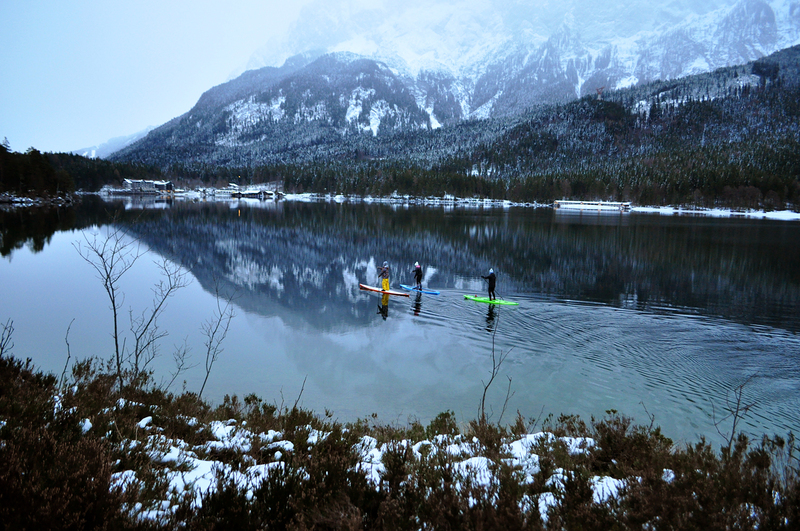 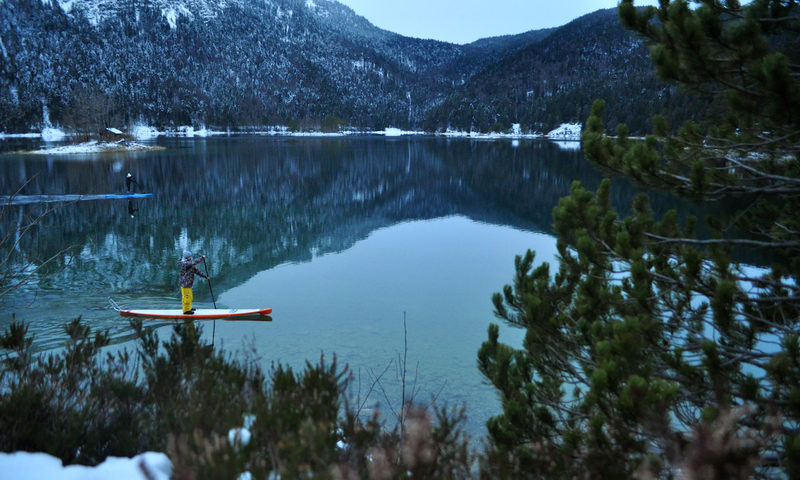 While the skiers and snowboarder had to queue in long lines to get up the mountains, the Stand UP Paddle crew were all by themselves on a quiet, peaceful mountain lake. 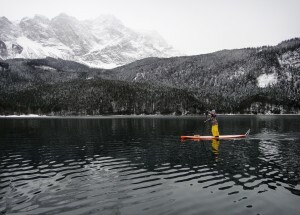 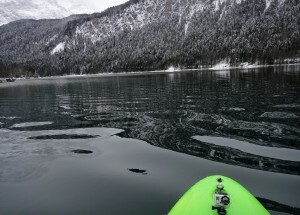 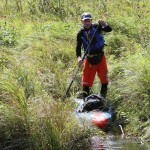 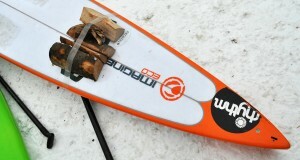 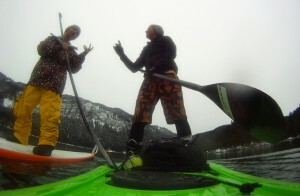 If you are interested in paddling this area: www.flatwater-sup.de offers guided tours. Annabel and Petra were wearing 3/2mm wetsuits with a softshell jacket on top and biking/running gloves. 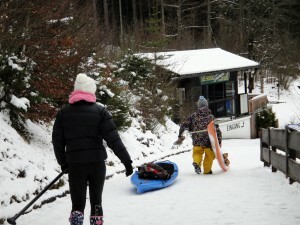 Carsten was wearing a full snowboard outfit, this is only advised for experts, in case you fall in, swimming is really hard.